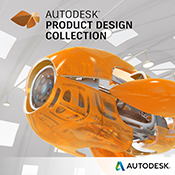 Autodesk Alias Surface software, part of the Autodesk solution for Digital Prototyping, offers a full set of dynamic 3D surface modelling capabilities. The software enables digital modellers to evolve design concepts into production surface models for consumer product design and high-quality Class-A surfaces for automotive design and styling. Alias Surface software also supports advanced reverse engineering capabilities enabling digital modellers to quickly go from mesh data to high-quality Class-A surfaces ready for engineering detail design.